This Hump day I have a little surprise for you, but before we get to that, I need to announce the winner of the Cottage Cheege giveaway. According to Random.org, the winner is #54...lovely Lenore from Lenorenevermore! Yippee and congrats! Thank you Marsi for an awesome giveaway. Be sure to check out The Cottage Cheese during this holiday season for unique vintage housewares. Now for the surprise. I was contacted by a very talented artist, Chris, who runs Red Hot Pottery concerning a possible giveaway. I immediately fell in love with Chris' work (she was recently a featured seller on Etsy) and just knew you would love her work too! The only issue is that the Friday giveaway slots were all snatched up (weeheee!) so we decided that an impromptu Wednesday giveaway would be in order. These pieces are simply beautiful and all of these pieces would make amazing gifts for yourself or (if you must) someone else. 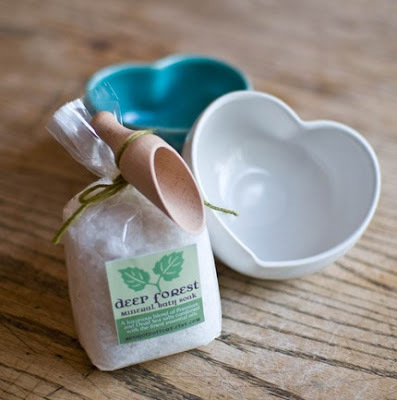 Winner will receive your choice between a WHITE or BLUE bowl and one pound of Deep Forest Mineral Bath salt. You can read about the details of this product here. The winner will be chosen Thursday afternoon so the giveaway will only be open for a bit more than 24 hours! Simply leave a comment after visiting the shop and tell me what you like AND tell me which color bowl you would choose if you were lucky enough to win! I love the love birds vase, what a perfect gift for a wedding!!! The blue heart bowl is fantastic! Ooh I hope I win this! I would love that heart bowl in blue! I have a few favorites from her shop! The "another happy couple" set of mugs, the flora mug and the bronze green lotus bowl. She makes beautiful pottery! 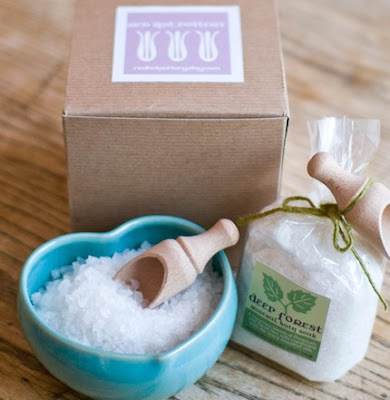 I love the GIFT SET with the Heart bowl and bath salts AND I like it in white. Everything in her shop looks lovely!! The Extra Large Heart Bowl Set is adorable as well. By the look of her products I would say that she is a happy person. The products just make you smile. I love the blue bowl. What beautiful work! My favorites are probably the "Bronze Green Lotus Bowl" and the "Another Happy Couple" mug set. Should I win, I would choose the blue bowl because I need some color to liven things up a bit. I absolutely LOVE this great shop!!! I love the blue bowls especially ~~ the pale blue almost glows! The bird vase is to die for. So special! And the giveaway items are simply perfect! I have always loved that bird vase! But, anything from Red Hot Pottery would be a treasure to me!If I were to win, I'd love the blue bowl. What a great giveaway! Everything's lovely, but my two faves are the ice cream bowls and the happy urchin sculpted porcelain. Two completely different, yet fabulous creations. The lotus bowl would be great for small jewelry, and the bird vase is so sweet. I would choose the blue bowl, love the little salt scooper too! 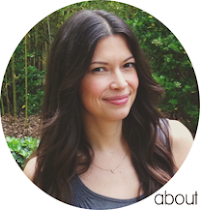 Thank you so much Christina for hosting my giveaway, and congratulations to Lenore! You keep introducing me to new cute shops! Fabulous! If I won: definitely the blue bowl! I love both the urchin and lotus bowl, either for jewlery on my dresser or on the coffee table. I would choose the blue heart bowl! oh, I love the lotus bowl! so pretty! and the heart shaped nesting bowls ... I have a little bit of a nesting bowl addiction. and of course the bird vase, you know what ... I love pottery. and if I am lucky enough to win, I think I'd like the white bowl. I LOVE the Tall Birdies vase! The color is so bright and beautiful and my daughter's nickname is "Birdy" for her little bird mouth.. so needless to say I have started collecting anything with birds for her! Love the flower bowl for my jewelry and the flora mug for delicious cups of coffee! Both of exquisite color! If i was lucky enough to win.. the turqoise color! I LOVE the tall birdies vase ... but the sea urchin is divine, too! Loving it all, really. I'm currently coveting anything in that pretty blue-ish, turquoise color. I love the "Another Happy Couple" Mugs! And I'd choose the bowl in white. 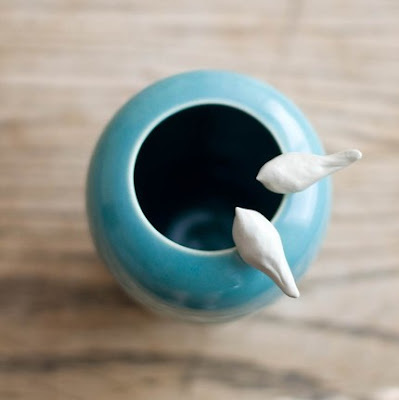 I love that love birds vase and have been eying it for a while! I'd pick blue if I were lucky enough!! oh love that seaurchin piece! and the white pot is looovely! I love the bird vase! I would pick the turquoise blue if I won. The blue vase with the birds is great, but I also love the large double dipper bowls. Mineral salt is so lovely, and I would love the blue bowl. Great stuff. If we had any extra "house" money right now I would totally spring for those ice cream bowls and donate Ryan's costco bowls to Goodwill (we would, however, keep my Crate and Barrel cereal bowls). In general, I just like handmade pottery best, probably because I did wheel throwing for several years and know how hard it is! We could totally make room for that little blue heart bowl, although we don't have a tub so the salts may end up as a gift! Those ice cream bowls are wonderful!!! I haven't chosen a bath over a shower since we moved in, 6 months ago.. this would be great motivation!! My favorite is the Supergirl vase! If I won I would pick the white bowl. Everything is gorgeous! I love the teapot with the bird handle in her sold items. And my heart goes pitterpat over that blue heart bowl. How fun! I would choose white! The set of 5 birds are adorable, each so individual...I love the lovebirdies vase (I theme here i feel!!) and last but most def not least the lotus bowl is fab!!!! Cute give away! Would look "Darling" on my tub! How cute! Loving the 3 hearts nested together. You know I would choose white! I heart Red Hot Pottery!! I love all of her multi color glazed items. I also love the little blue birds. I'd choose the blue heart bowl . . . and i'd KEEP it!! My future china is Lenox's Chirp, which has blue birds... all of this is SO tempting and perfect! I'd choose the blue if I had the choice. So perfect! I adore all the blue pieces in her shop! The mugs, vases, little blue birds...I can't pick a favorite! I'd definitely pick the blue heart bowl! Oh man! I'm a potter myself, and I LOVE that handmade ceramics are 'back in style.' There's just something so satisfying about having your coffee in mug made by a local artist. :) I'd definitely pick the blue bowl. I would pick the white bowl and my favorite is the set of 5 blue birds... beautiful! Um the florapalooza vase is AMAZING. Love it! And the lovebirdies vase is great too! I would choose the blue bowl! Great giveaway! I would choose the white- so classic and chic! I love the Lovebirds vase too! I am thinking this would be a cute wedding gift for my step bro! I love all the pottery!! But I have to say the bird are so sweet and special. The remind me of my mom! I also love the coffee mugs!! You are so talented!!! What a gift! I've been drooling over her work for the longest time! I found this giveaway through her Facebook page, and I found a new blog to read! :) My favorite thing of hers is definitely her little birdies. They're so precious! Love love the flowered white vase and the earrings. I would love the heart in white. So sweet. my favorite is the lovebirds vase! but the birds by themselves are adorable too. 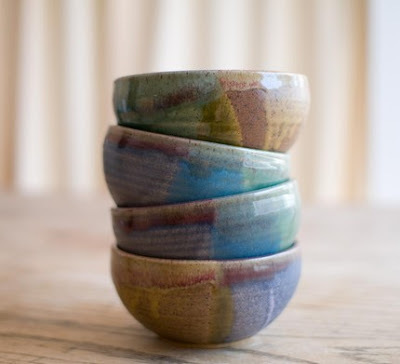 great giveaway- i'd definitely go with the blue bowl... such a gorgeous glaze. So fun... and she's sooo talented! I love that bird vase (of course!). i love love love the heart shaped bowls. especially Just Plain Big Heart bowl. the colours are divine. but with that being said i think i'd go with the white heart bowl it would go perfectly in my room! I simply love the Flora Mug in Robins Egg Blue. Maybe some in Bright Red/Orange would be wonderful!! I would have to go with the Blue Bowl. the scultped urchins are my favorite, for sure! and i like the blue color you have shown above - it's so cheery! Christina! What a fun way to enjoy hump day! Love the blue vase with the little birdies sitting on top! I would definitely choose the white heart bowl! oh i just adore these little birds! OH I love it all, but I love love the white flora mug! Everything in the shop is so lovely! I really like the florapalooza vase. If I won, I would pick the blue bowl. I love the shop!!! those heart mixing bowls are just too precious! I LOVE her love birdies Vase so much!!! If I had a choice I would pick the lovely blue bowl!! I love the Flora mug. And I'd pick the gorgeous blue bowl. The urchin sculpture and the florapalooza vase are both so charming! Great pieces of art. I'd love to have the white heart bowl & bath salts! I love so many of her pieces, but the Flora mugs have such an interesting shape...so cool! I love the 5 blue birds. They're adorable. 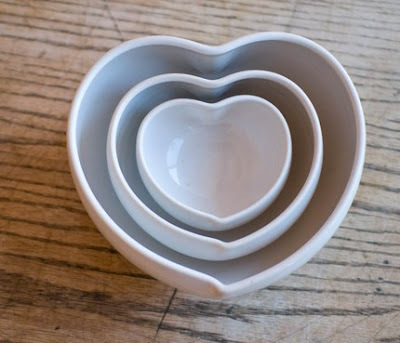 But for the darling heart-shaped bowl, I'd probably go with white because it's just such a crisp color. i love the stamped mug. it has so many beautiful colors in it! i love the blue heart bowl. i like how it contrasts with the bath salts. And I would love to win the heart bowl in white! So pretty! The bird vases are absolutely gorgeous and i love the gypsy earrings as well... so pretty! I would choose the blue bowl if i won... thanks for another fantastic giveaway! I love the flora mug, it makes me believe coffee would taste so much better in it. I would love to win the heart in blue, it would match my bathroom! Oh my goodness! What a shop! I especially love those blue birds, so dang lovely! You truly have the best giveaways! Love her pieces---so lovely and delicate. And for color--definitely the blue! I, too, am digging the birdies. They would make agreat gift but I would probaly just buy them for myself. If I had my druthers, I would prefer the white bowl. From the shop, I love the heart bowls. All I collect, it seems, are little bowls. There you have it. I want the extra large white heart set! They would match my stark white kitchen! Wow!!! Love her lovebird vases and the earrings and how cute is her floral mug? I love heart bowls and bath salts are high on my list too! I love the Bronze Green Lotus Bowl. Alot. So much that it's on my favorites list. And I think the blue heart bowl is so pretty. I like the flower bowl. I would like this in blue. I adore her work! The birds are lovely of course. The bird vases! If I would be so lucky to win, I would prefer a blue bowl. oooohh I hope I win!